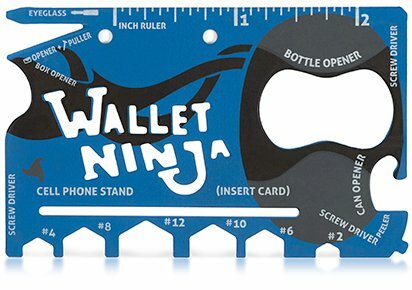 Ninja Knife with any purchase. 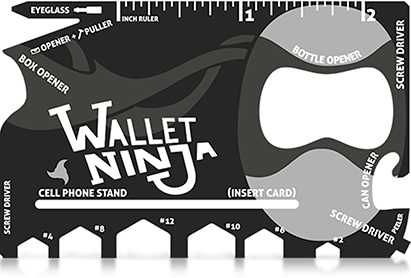 Great for business cards, giveaways, and promotional items. Pen Ninja 9 tools in 1! 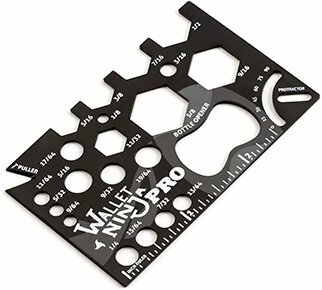 Perfect everyday tools for every pocket on the planet! 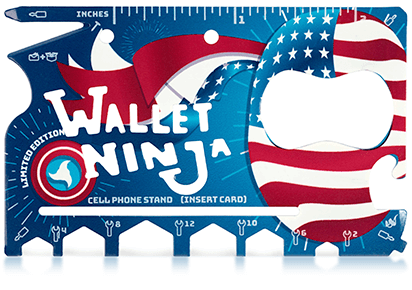 Our most beautiful Wallet Ninja®! 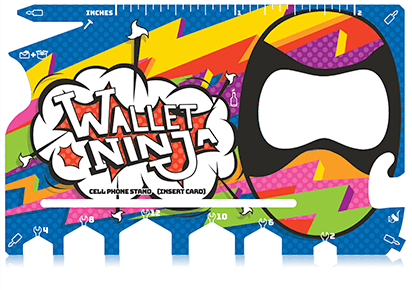 The Gold Wallet Ninja® includes the Tool, Gift Box, and Certificate of Authenticity.